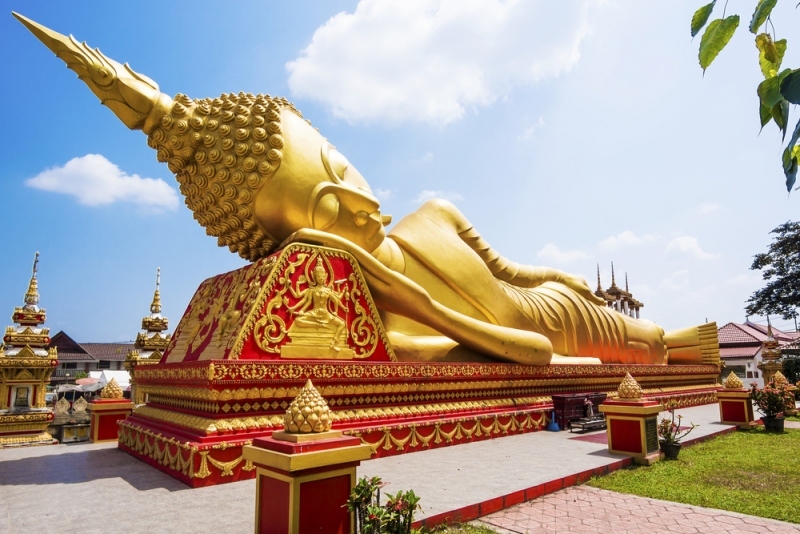 A visit to exotic Vientiane, the capital of Laos, doesn’t just have to be done to complete a visa run from Thailand or as a backpacker ticking the country off their travel agenda. Since Laos opened its doors to foreign visitors over a decade ago, following the building of the first Friendship Bridge between Thailand and Laos, visiting the country to enjoy the Laotian culture has never been easier. Here are a few suggestions on things to do and where to stay in Vientiane. Visiting Vientiane on a Visa Run? If you’re visiting the capital on a visa run from Thailand with a plan to return back to Thailand in a few days’ time, then seek out some Vientiane hotels near Thai embassy. This will save you trekking back and forth when needing to visit the embassy one morning and having to return to the embassy the following day. There are many convenient tuk-tuks outside the Thai embassy to take you into the center of town when needed. However, the area near the embassy is now built up with restaurants, excellent cafés and access to banking facilities, so you don’t need to go further afield. While Thailand has a reputation for its massages, they offer herbal and oil massages in Laos too. There are a number of excellent places to visit to get some relief from your aches and pains. Masseurs don’t stand outside the premises to entice visitors inside like they do over the Mekong River in Thailand either, so you’ll need to look for the wooden signs out front conveniently listing their massage prices. The herbal sauna massage is also something special. Steam is infused with herbs to deliver a vapor that’s fragrant and relaxing. It’s quite a different experience to massages given over the river. This type of massage is only available at more exclusive massage businesses and spa destinations. The COPE Visitor Center is like a pilgrimage for visitors to Vientiane, and for good reason. The COPE charity provides prosthetics for Lao people who have lost a limb. The charity benefits from the visitors who are asked to provide a donation when visiting. This way, the center can continue its good work. The location is an easy walk from Vientiane Center, one of the newer shopping centers. All the tuk-tuk drivers know where the COPE Visitor Center is too. Vientiane Center is a newer shopping mall (the older one is Talat Sao which is a short distance past the bus station). The mall covers four levels with the movie theater on the fourth floor. The third floor has the food court which serves a wide range of affordable dishes; both Laos and international choices. If you’re after some gold, head to the second floor where the jewelers share space with the department stores. The ground floor has a few phone stores, clothing boutiques and restaurants to try out. The large K-Mart at the back of the building and the man-made lake with floating amusements around it are both worth a visit too. The important thing with Laos is not to skip it. It holds a different attraction to its neighboring Asian countries and does so at a pleasingly slower pace.